All patients may schedule an urgent appointment for the same day or next business day and expect little or no wait for both urgent and routine appointments. Urgent appointments will be scheduled same day whenever possible. The Annual Wellness Exam can be scheduled within two weeks (provided Member Amenities Fee is up to date). In today’s fast-paced society, patients often feel rushed and valuable information can sometimes get lost. Each of Dr. McBrearty’s patients is guaranteed ample time to discuss immediate needs and concerns, ask questions and receive a full evaluation with comprehensive feedback and instructions, all key factors which may improve outcomes. An important part of good health is timely information. 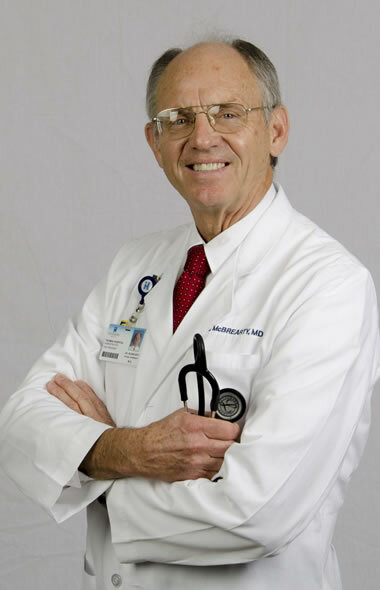 Dr. McBrearty is available to his patients 24 hours a day, seven days a week by phone. With a focus on preventative health, the Member Amenities Fee includes an annual comprehensive wellness exam. In addition to a review of your complete medical history, the annual exam includes comprehensive lab work and screenings, age and gender-appropriate exams or tests as recommended, and a custom-tailored wellness plan. The annual exam is an essential tool that will allow you to take an active role in managing and maintaining your health. More and more today, patients are admitted to hospitals by someone other than their primary physician, and then visited by hospital-based physicians. Dr. McBrearty will admit each of his patients to the hospital when necessary and will make routine visits during hospitalization to ensure continuity of care. When a patient needs to see a specialist or have tests and procedures outside Family Medicine Specialists, Dr. McBrearty will coordinate and provide oversight of all referrals and treatments. This level of patient advocacy guarantees that someone is looking at the “big picture” with regards to each patient’s overall health and well-being. Following the annual wellness exam, each patient will receive a hard copy of his or her current medical information and relevant data. © 2019 Family Medicine Specialists - Fairhope, AL.